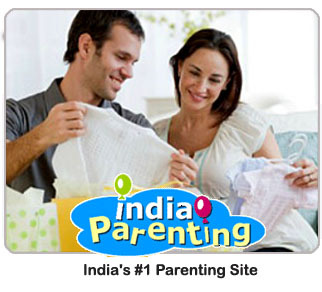 You are here: Home > Message Boards > Parents of Babies > Articles >Are You and Your Baby Bored? Articles:Are You and Your Baby Bored? So your baby is a year old now. Great! Isn't he cute Yeah! Sure he is, when he is sleeping, other wise he is quite a handful. Now that answer rings a bell. Doesn't it Because all babies are same. Keeping them busy so that they don't get on your nerves and tear your as well as their own hair out is a task that is quite daunting. After all how many ideas can one think of to keep pace with their changing moods and needs. 2. Dropping game- Make a hole in the lid of an ice-cream container big enough for a rubber ball. Your baby would enjoy hearing the ball drop and working to get it out. 3. When your baby has both hands full give her a third object. Watch to see how she tries to solve the problem of having only two hands. 4. Let your baby have a turn at talking on the real phone. 5. Keep your baby's toys in several baskets. He would learn to fill as well as empty it. 6. Make a simple finger puppet for him to play with. 1. Putting a pen inside a holder is an interesting challenge. 2. Give your child tubes of different sizes. He can experiment and fit. 3. Give a name to all his stuffed toys and dolls. 4. Pack up his lunch and go out to the garden or terrace for a picnic lunch. 5. Tape his conversation and let him hear it. What do you do to entertain or keep your child busy Share with us! What do you do to entertain or keep your child busy Share with us! Kavita Makhija replied. its goood to see your baby is learning new things. Me and my hubby use to play hide n seek. i ask him to pick up the thing like his toy and teddy, doggie. now he can differentiate thing belongs to me or his dad or some one else. KAVITA replied. I USE TO GIVE HIM THINGS TO PUT ON RIGHT PLACE. LIKE GIVE ME YOUR SOCKS. wHERE IS MY PEN?WHERE IS YOUR CAP? GIVE ME YOUR CAR(TOY) OR YOUR TEDDY. My daughter is 4 months old ,i would like to know from when can she pick up any kind of activities like learning rhymes ,finger counting games etc. I see quiet a lot of u having passed through pregnancy phases and are now having good time with u rsweet little angels. congrats on that b' cos pregnancy is tough and u deserve all the lov from uryoung one. Meanwhile I am posting all the unbelievable and exciting incidents happened in pregnancies on my blog at For Preggies Pls send in if u want to share any such experience to the world. devy replied. My son was the same way and he is the same even now.He is very attached to me and is hesitant to go and play with others.I am a working mother.morning as i leave he starts crying like anything which wil go for about 1-2 hrs..sometimes even after that.Initially i thought of resigning my job but i know that is not a solution.He doesnt even let me go to the toilet.He wants to stick to me the whole time.Weekends he will be after me the whole time and wont even play since he doesnt get time for that. He dislikes others company too.When somebody comes home he will be restless and scared.But when i take him out he is happy and interacts with other kids..only kids..not elders..
1. Give a plate and spoon and do not bother about the noisy sound. Your baby will love to hit the plate continuosly. 2. Try giving him several objects like toys, vegetables, fruits, plastic objects, pen, pencil anything( not with sharp edges). He will do postmorterm them for a long. hasina replied. hya, im a mother to a 2 year old, but nearly had depression in my 1st year of parenting..my little girl use to cry all night and woz immensly attached just to me. she neva use to go to her dad either..so i woz da only one left with all da responsibilities as she refused to go to anyone else. however, things took a turn as she turned 2...she started takin an interest in her dad although she is still very attached to me. but once she starts communicating, it will be easier for you to understand her frustrations and what and why she is diong things...	mom replied. hi..
well surely it is difficult to keep babies engaged in something.. they like everything except their toys.. my baby is 13 months and i hv to do a lot to kp him entertained.. i got a 9 pin bowling set.. he loves to kick the pins and gets entertained.. the utensils in the house is a gd idea too but sm moms don't like it.. Siddharth replied. My daughter is 21 months. We do sing songs with her. Tell her stories. ask her to tell stories. she sings quite well. she plays with the dolls. She rides her pony all around the house and acts as if she is shopping. Her pony is her papa. swetha replied. My son he is in 10th month.I love to entertain him.&i love to spend most of the time with him. I entertain him at the same time i make him learn.All the time i sing rhymesto him.And now whenever i sing he smiles &enjoy with me. At this age babies love the actions with the fingers,I count the numbers with the fingers.Now a days he started doing the same what i used do. clap clap ,blink ur eyes,nod ur head etc these r the thing which i do with my son.&he enjoy with me. 1. Give her some cereal and watch her pick through each of them carefully and put it in her mouth verrrry carefully. 2. Sit with her with a pile of magazines and watch her carefully turn each page....the look of concentration is intense especially when the pages are stuck together!!!! 3. Give her different size and shapes of wooden cooking spoons/stirrers and watch her drum them on her high-chair....a budding musician!! 4. If she likes to preen and pout then give her a scarf and watch her put it on her shoulder and toddle up to the mirror to see the effect....mind you they have very watchful eyes...if she doesnot like it she will throw it away. 5. Give her little tasks to do such as carry a small pile of her clothes...watch the enthusiasm she will have to put her clothes away carefully better than you and me...!!! its goood to see your baby is learning new things. I USE TO GIVE HIM THINGS TO PUT ON RIGHT PLACE. LIKE GIVE ME YOUR SOCKS. wHERE IS MY PEN?WHERE IS YOUR CAP? GIVE ME YOUR CAR(TOY) OR YOUR TEDDY. yes it is good idea! Meanwhile I am posting all the unbelievable and exciting incidents happened in pregnancies on my blog at For Preggies Pls send in if u want to share any such experience to the world. My son was the same way and he is the same even now.He is very attached to me and is hesitant to go and play with others.I am a working mother.morning as i leave he starts crying like anything which wil go for about 1-2 hrs..sometimes even after that.Initially i thought of resigning my job but i know that is not a solution.He doesnt even let me go to the toilet.He wants to stick to me the whole time.Weekends he will be after me the whole time and wont even play since he doesnt get time for that. Last week we went out for lunch..3 families were dere..He was reluctant to sit with them and started crying.He stopped crying wen i took him to a corner and had food there..
hya, im a mother to a 2 year old, but nearly had depression in my 1st year of parenting..my little girl use to cry all night and woz immensly attached just to me. she neva use to go to her dad either..so i woz da only one left with all da responsibilities as she refused to go to anyone else. well surely it is difficult to keep babies engaged in something.. they like everything except their toys.. my baby is 13 months and i hv to do a lot to kp him entertained.. i got a 9 pin bowling set.. he loves to kick the pins and gets entertained.. the utensils in the house is a gd idea too but sm moms don't like it..
My daughter is 21 months. she plays with the dolls. She rides her pony all around the house and acts as if she is shopping. Her pony is her papa. We play hide n seek. Now, at 15 month, that she has started walking, she finds it very exiting seeking us out. Sometime we play fetch and store, something like 'Doggie Fetch!'. Guess this would help her learn to pur her things in the right place. can u suggest som games for my seven month hold that could keep him busy ? Whenever Iam very busy I just give him some cooking vessels which has no sharp edges and he is totally involed with them and sometimes when he is fed up with them I give him plastic cups loads of them so that he can crack thme and do anything that he wants with all of them.Empty boxes also come handy as he loves to play with them.Try all this,it might come handy.Who knows? trying this things will works! Subject: Are you and your baby bored? Are You and Your Baby Bored?